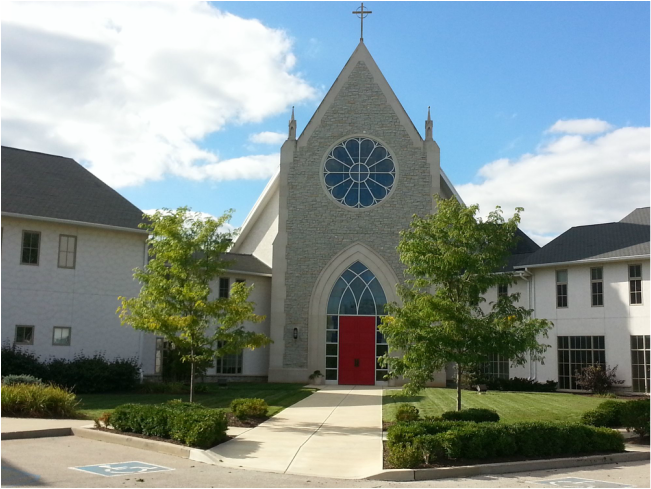 St. Christopher's is located east of US Highway 31 North (also known as Meridian Street) and west of the Carmel Arts and Design District. Office Hours: Monday through Friday, 8:00 a.m. to 12 Noon and 1:00 to 5:00 p.m.
Take US 31 south to the Exit for 131st/West Main Street. Turn left (east) onto West Main Street. Go half way around the Pennsylvania Street roundabout and continue a few hundred feet on Main Street. The church is on the left. Take US 31 North to the 131st/West Main Street exit. Turn right (east) onto West Main Street. Go half way around the Pennsylvania Street roundabout and continue for a few hundred feet on Main Street. The church is on the left at the Grand Boulevard roundabout. Take Keystone Parkway to the 131st/Main Street Exit. Enter the roundabout and travel west onto 131st/Main Street. Travel west through the Carmel Arts and Design District. St. Christopher's Episcopal Church is located on the right approximately one-half mile west of the Main Street roundabout at Old Meridian Street. Cross US 31 North at either 131st Street or 126th Street. If traveling on 131st/Main Street, continue half way around the Pennsylvania Street roundabout. The church is a few hundred feet past it on the left. If you are traveling from 126th Street, turn north at Pennsylvania Street. Then turn right onto Main Street at the first exit from the Pennsylvania Street roundabout. The church is a few hundred feet on the left.